Cathy Smith, artist, historian and scholar of the American West, is best known for her authentic costumes in films such as Dances with Wolves, Comanche Moon, Geronimo and Son of the Morning Star – for which she won the Emmy for Excellence in Costume Design. She is also a 2013 inductee into the National Cowgirl Museum & Hall of Fame. Cathy lectures on the art & culture of the Western Plains at museums and events, from the Smithsonian to the Eiteljorg. She has exhibited at the National Cowgirl Museum in Fort Worth and the Smithsonian, among others. She restores original artifacts for museums & collectors and creates custom clothing and accoutrements not only for film and museums, but for clients worldwide. Currently she is painting the Plains Indians she loves and knows so well, trading buckskin & sinew for oil & canvas, capturing the soul & essence of her Northern Plains ancestors. 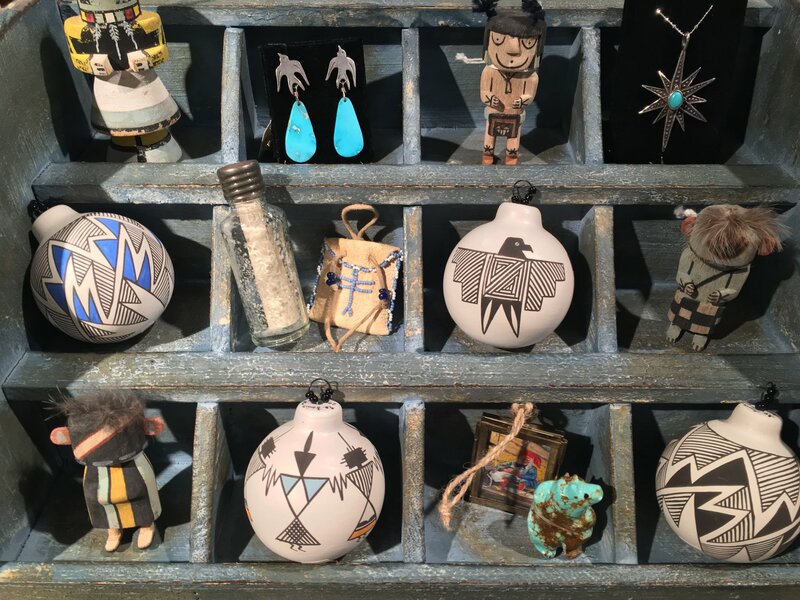 Cathy has a studio in Nambe, NM and in the Black Hills of S.Dakota and shows her collection at the newly remodeled Nambe Trading Post.